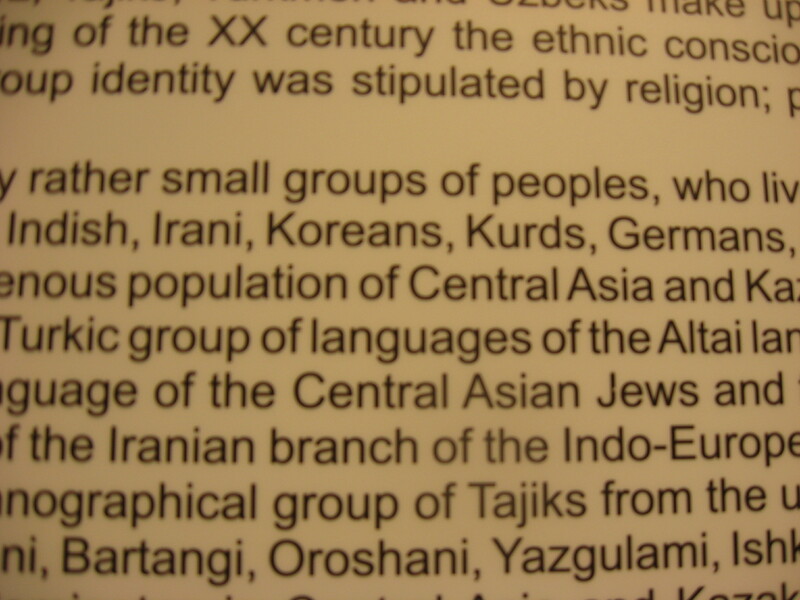 Below is a sign from the Russian Museum of Ethnography which mentions that at different times, small groups of people who lived outside Central Asia moved in, including Koreans. However, it doesn’t mention that for the most part it was a forced migration by Stalin between 1937 and 1939 of approximately 200,000 Koreans and that during the forced migration about 100,000 Koreans died. 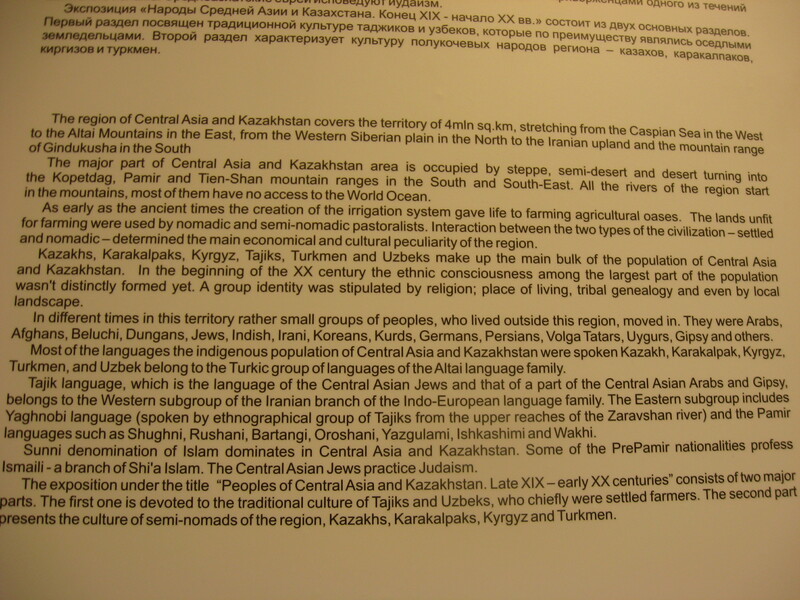 The Ethnographic Museum is very interesting because it shows the many different groups that live inside Russia and interestingly enough also includes information on the Eskimos who live in Alaska which was previously part of Russia.It also has information about ethnic groups in the former Soviet states such people from the Baltic states, Ukraine, etc It also has information about the Buryats who are the largest minority group in Siberia and who speak a Mongolian dialect called Buryat. While in Ulan Ude I spoke to several Buryats; the current generation speaks only a little Buryat and fluent Russian. Their parents speak some Buryat and some Russian and their grandparents are fluent in Buryat and speak only a little Russian. This entry was posted on noviembre 30, 2009 at 7:12 am and is filed under overseas Koreans. You can follow any responses to this entry through the RSS 2.0 feed. You can leave a response, or trackback from your own site.